The Jackfish; a large daypack designed with smart features that make it a go to pack for everything from the commute to work, the ride to school or those short jaunts in the woods after a long day. 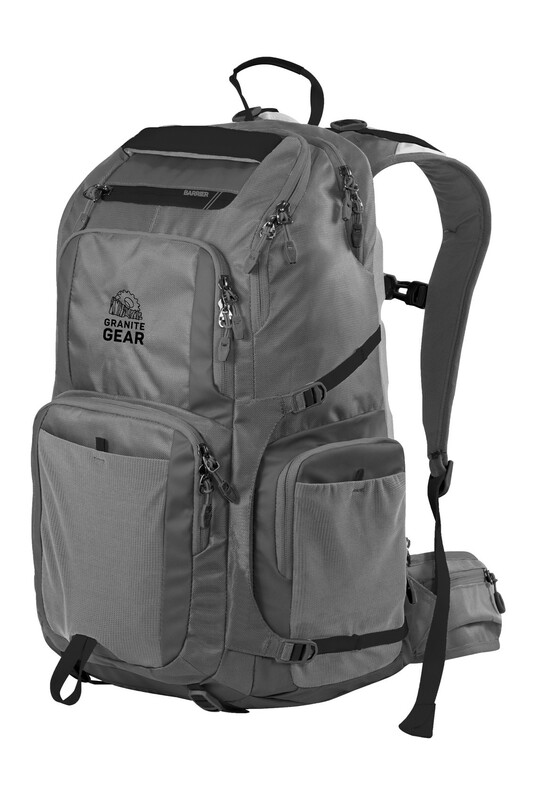 At 38 liters, the Jackfish is among the largest of Granite Gear’s Barrier backpacks. It makes great use of this space with a tall and slim design that facilitates packing, and keeps loads close to your center of gravity. 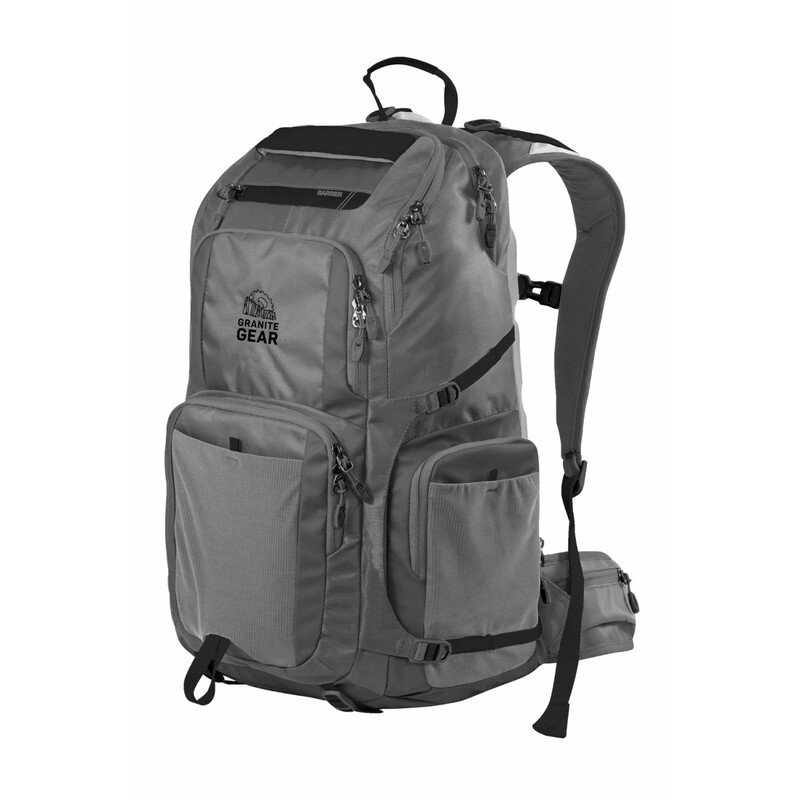 It also boasts a trail tested load carrying technology that comfortably supports heavy loads, while providing outstanding ventilation. This system is made up of a load absorbing shoulder harness complete with load-lifter straps, a sternum strap and padded hip belt that can be hidden way when not in use. 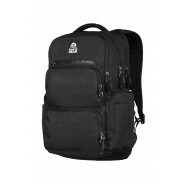 The body of the pack is divided into several useful compartments, and it constructed with Repelaweave and Taurpalite fabrics. While these fabrics are very durable, and lend themselves to the longevity of your pack, they are also very weather resistant and help to keep your things safe and dry.For further protection of your most fragile items, the Jackfish also includes a dedicated 17” Gear-Tec Laptop Sleeve and a water resistant Barrier-zippered stash pocket that’s lined with tricot to keep screens and lenses from getting scratched. 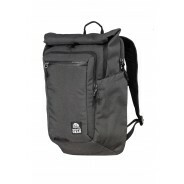 In addition to it’s many compartments, this pack also sports external storage options. Three stretch mesh pockets on the front and sides of the pack offer and easy way to quickly stash things like water bottles and jackets, while a convenient waist belt pocket keeps smaller things like energy bars or digital cameras well within reach. Stash straps on the bottom of the pack are a great place to lash anything that you can’t fit inside. Overall, The Jackfish is a great pack people who need something that can comfortably manage heavier loads. Though many packs have the same capacity, the Jackfish offers a more comfortable, more convenient and more protective way to carry your things.